Please contact using that weird skype box thing at your local Pokemon Center and messaging me @ "MagikarpMayonaise1126" and letting me know where and when you want to battle! 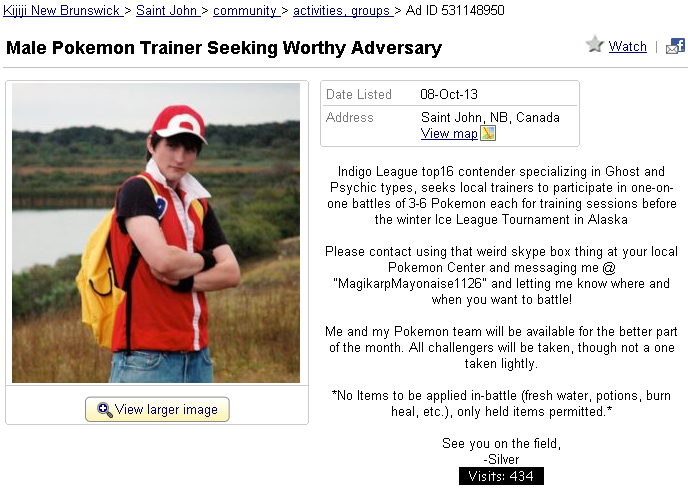 Me and my Pokemon team will be available for the better part of the month. 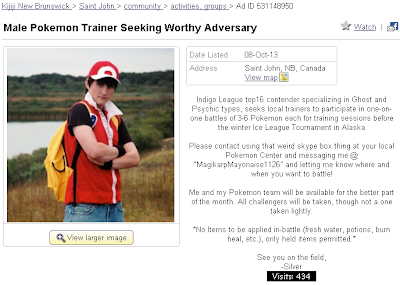 All challengers will be taken, though not a one taken lightly.